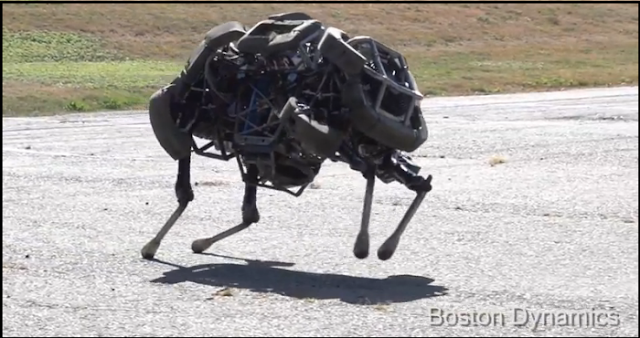 WildCat Robot Introduced By Boston Dynamics. WildCat is a four-legged robot being developed to run fast on all types of terrain. So far WildCat has run at about 16 mph on flat terrain using bounding and galloping gaits. The video shows WildCat's best performance so far. WildCat is being developed by Robotics company Boston Dynamics with funding from DARPA's M3 program. As we seen in video Wildcat Robot easily run & turn at exact point.